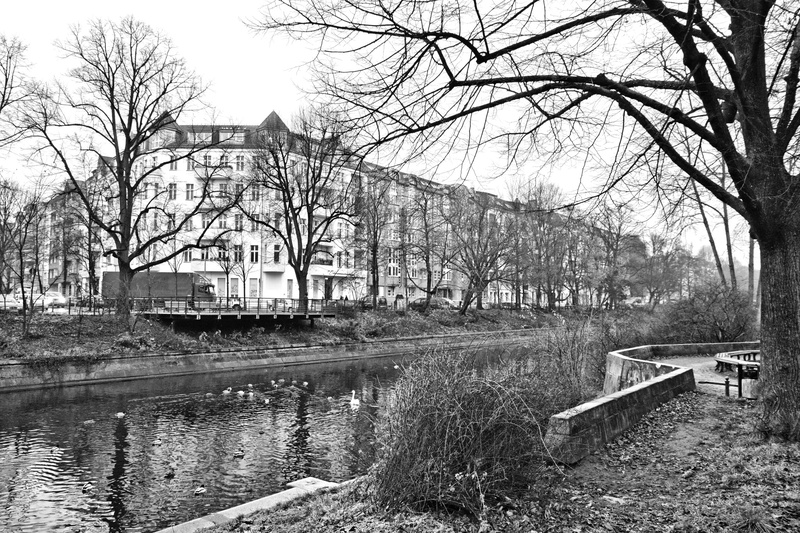 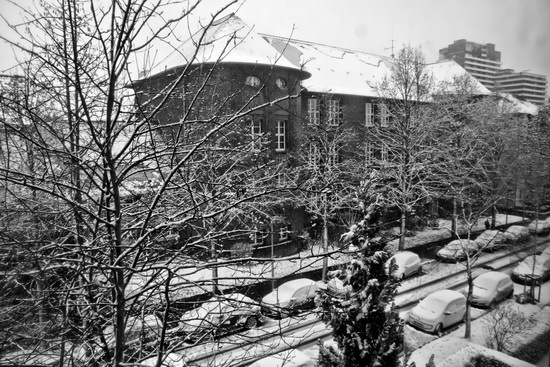 A view over to the other side of the Landwehr canal. 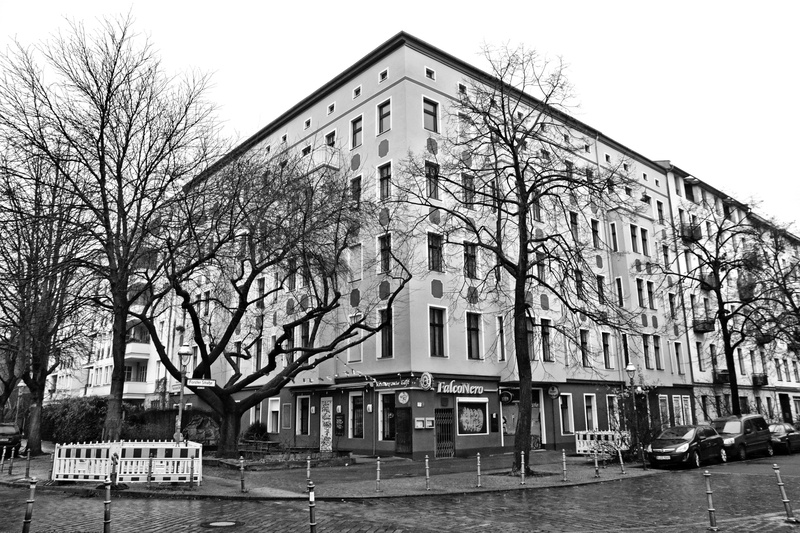 The house at the corner of Paul-Lincke-Ufer and Forster Straße. 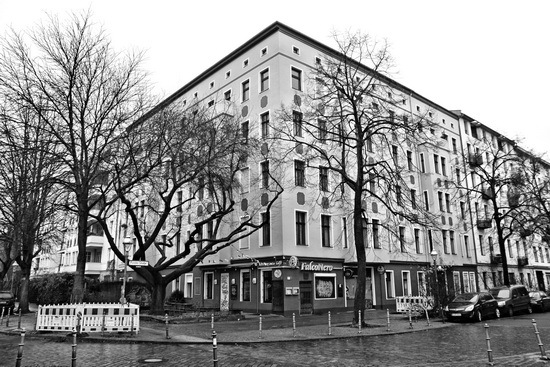 The restaurant at the ground floor used to be called the Salatgarten for ages and now it’s the Falco Nero – but it’s still closed in the Winter.